‘Dickie’ had some hours to spend and was up to some serious watch shopping. He ended up ordering an IWC Portugieser in blue, but also tried various other watch brands. Like the one below. 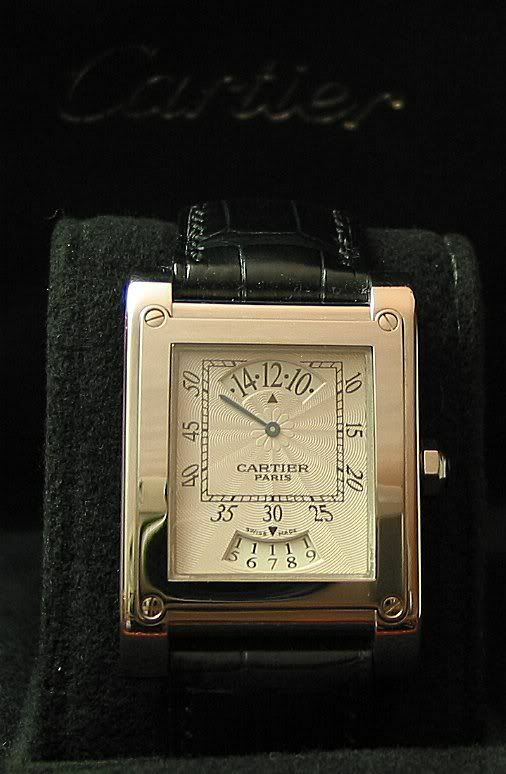 A Cartier Tank a Vis.